Podcasts about the latest gadgets to make travel easier. We don’t aim to cover everything on those products that really do what they say. And we do cover products that don’t do what they say. Afterall who needs to lug around the world a piece of junk. Gadget Guru, James DeRuvo has a multi faceted career that spans radio, film and publishing. As producer of talk radio programs in Los Angeles for over 5 years, James has produced topics ranging from travel to technology, to politics and computers. A writer of articles about the video industry for nearly 20 years, he has also written articles regarding sports, travel, and computer technology. James lives in Southern California. Travel journalists Paul Lasley and Elizabeth Harryman are married and reach an audience of several million people each month as they write and broadcast in a variety of formats. They have covered travel for network television including NBC’s Today Show and local TV such as KTLA 5 in Los Angeles. They have written travel features for major national and regional magazines along with a regular syndicated column on travel and dining for several major daily newspapers. Paul and Elizabeth are pioneers of interactive travel content on the web. Elizabeth Harryman is Travel Editor of Westways, the magazine of the Auto Club of Southern California, which has won five major Lowell Thomas Travel Journalism awards and has a circulation of 4 million and a readership of 8 million. Elizabeth also coordinates travel coverage for the other six AAA magazines the Auto Club publishes, which reach markets from New England to Hawai’i, for a combined readership of about 12 million. Paul Lasley produces and hosts two daily radio shows that are broadcast to 3.5 million listeners in 180 countries on the American Forces Radio Network and our podcast at OnTravel.com. He’s co-hosted radio shows on KABC and Public Radio station KPCC in Southern California and for Discovery Channel Radio on XM Satellite. His radio shows have won three major Lowell Thomas Travel Journalism awards. He also writes the TravelSmart column for Westways magazine. Paul and Elizabeth are proud to be travel journalists. Their opinions and recommendations are totally their own and are not supported commercially. Their mission is to provide information on all aspects of travel and to encourage people around the world to discover the wonder of travel. They also regularly cover subjects of interest to the trade and industry because of the wide demographic of their many audiences. For several years, Paul and Elizabeth were on-air travel correspondents for NBC’s Today. They wrote a column on travel and dining that ran for 10 years in major U.S. newspapers including the Los Angeles Times and the Miami Herald. As a married couple that works together every day, finding romance is an important part of their travel lives. Their best-selling book, Honeymoons: A Romantic Travel Guide, won a Lowell Thomas Travel Journalism Award. Another book on romantic getaways is under development. 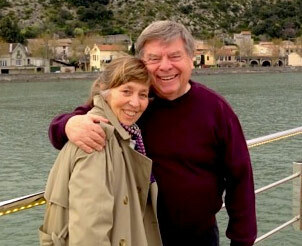 Paul and Elizabeth are members of organizations including the American Society of Journalists and Authors, the Society of American Travel Writers (SATW), SAG, AFTRA, and Equity. Paul is the 2016 president of SATW. Dan Forth: A national and local media industry veteran, Dan is Executive Producer for OnTravel and oversees Marketing and Advertising for Harryman/Lasley Inc. Passionate about the notion that “you’re never too old to rock and roll”, he enjoys covering travel of interest to Baby-Boomers who share the same outlook on life. Dan has produced and marketed programs hosted by Paul & Elizabeth for the American Society of Travel Agents, Discovery Channel Radio and Sirius/XM Radio. He also produced and marketed the “WPT Poker Corner” for the World Poker Tour. Before joining the OnTravel family, he was President & CEO of Sony Worldwide Networks (SW) a genre-specific provider of information and entertainment content to broadcasters via satellite, compact disc, and the Internet. Dan also served as Senior Vice President, Content Licensing at Launch Media. He spent his early years at FM Rock radio stations in New England. He then “went national” holding management and executive positions at the ABC and NBC Radio Networks. James DeRuvo: James has a multi-faceted career that spans radio, film, and publishing. As a producer of talk radio programs in Los Angeles for over 10 years, James has produced topics ranging from travel to technology to politics and computers. A writer of articles about the video industry for nearly 20 years, he has also written articles regarding sports, travel, and computer technology. James lives in Southern California. He produces tech, family travel and general interest segments for OnTravel. He is The Tech Lord. Gary Arndt: Gary, one of the most respected and influential travel bloggers in the world and an award-winning photographer serves as Associate Producer and Senior Travel Correspondent for OnTravel. He reports from the far-flung regions of the world and always manages to provide new and newsworthy information on his destinations. Marybeth Bond: Creator of the whole world of Gutsy Women and author of travel books and articles on the entire world of travel serves as our Global Travel Correspondent. Bill Groenekamp: Bill is an accomplished photographer. He is an associate producer for OnTravel and supervises editorial content as well as contributing segments on senior travel. Carol Forth: Carol is an avid photographer and a contributor to OnTravel. 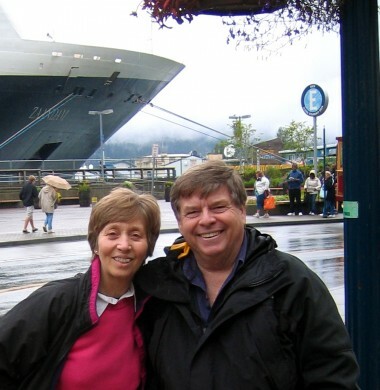 Carol is married to Dan and travels with him when their schedules permit. Images like her visual chronicle of their visit to Arizona have been OnTravel favorites. https://www.ontravel.com/wp-content/uploads/2016/03/logo.png 0 0 OnTravel Newsroom https://www.ontravel.com/wp-content/uploads/2016/03/logo.png OnTravel Newsroom2008-10-11 07:37:562019-02-01 13:08:01Welcome to OnTravel! On this episode of GT, James takes a look at the Olympus SP560 Ultra Zoom camera. If you want more than a point and shoot, but aren’t ready for a digital SLR, an Ultra Zoom like the SP560UZ is a great option. Also, James makes a plea for less LCD size and more viewfinders … listen to find out why.